The miner said the decision followed an "extensive, transparent and comprehensive disposal process, which involved a rigorous due diligence exercise on the bidders to acquire the mine". The disposal process was unsuccessful in identifying a suitable operator that met the specified criteria and therefore a responsible closure process will now be initiated in accordance with the company’s values and with due consideration of employees and host communities, the firm said. Phillip Barton, DBCM CEO, said: “Our priority throughout the disposal process has always been the safety and wellbeing of our employees at the Voorspoed mine and we were committed to ensuring that any potential future operator would not only have the required technical and financial capability, but also values that are aligned with those of DBCM. Unfortunately, we have not been able to identify a bidder that met the necessary criteria and so we have reluctantly taken the decision to close the operation, in a responsible manner, as it is no longer economically viable for DBCM to operate the mine. We do not underestimate the impact this will have on Voorspoed Mine’s employees and we have put in place appropriate support structures. 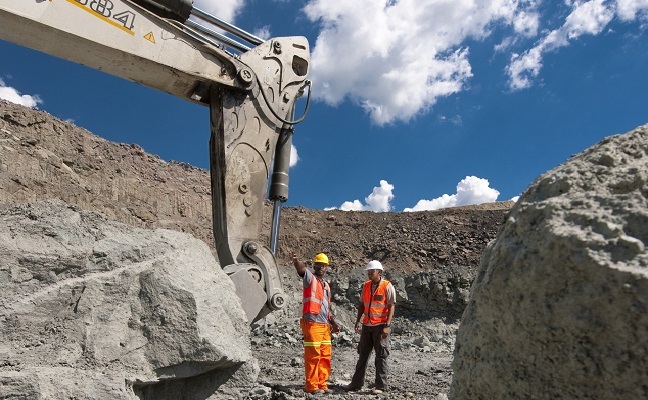 De Beers Group is committed to ensuring that it embarks on the closure process in consultation with its key stakeholders – employees, the union, host communities and the Department of Mineral Resources (DMR) – in a transparent and responsible manner, while continuing to uphold the highest safety standards at the mine until its closure at the end of this year. Upon engagement with the DMR through the office of the Director General on 30 July 2018, the issue of job losses in the mining sector and mines being placed on care and maintenance was raised. The Director General requested that DBCM runs its closure process in parallel with a separate process through which the DMR will seek to identify and propose an operator capable of purchasing Voorspoed Mine (Proposed Operator). DBCM confirms that it is in principle not opposed to the DMR’s request of embarking on a process to identify a Proposed Operator within a 30-day period commencing on 1 August 2018 and ending on 31 August 2018. DBCM will engage further with the DMR in relation to the proposal in order to understand and finalise the basis upon which it will be undertaken. In its South African portfolio, De Beers Group also operates the Venetia mine in Limpopo Province and is currently making its largest ever investment in South Africa with a US$2 billion project to take the mine underground and extend its operating life into the 2040s. Above: mining at the Voorspoed mine.